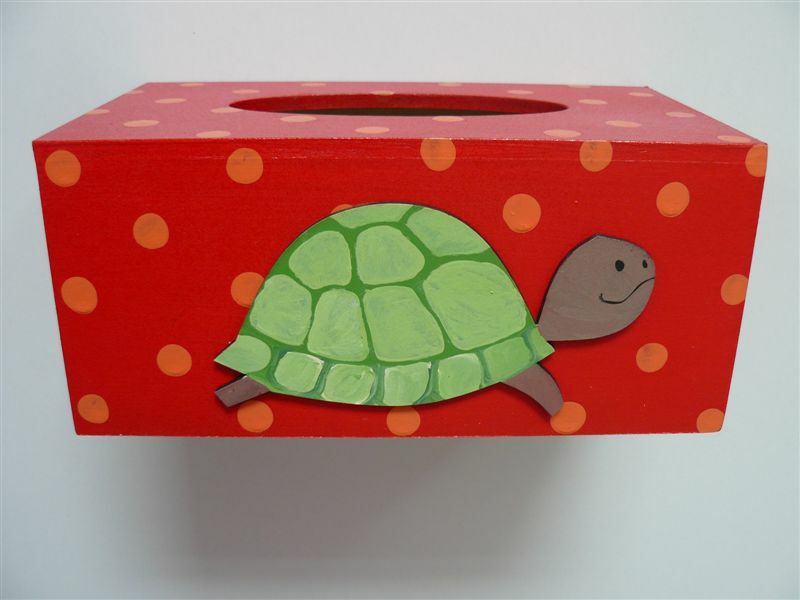 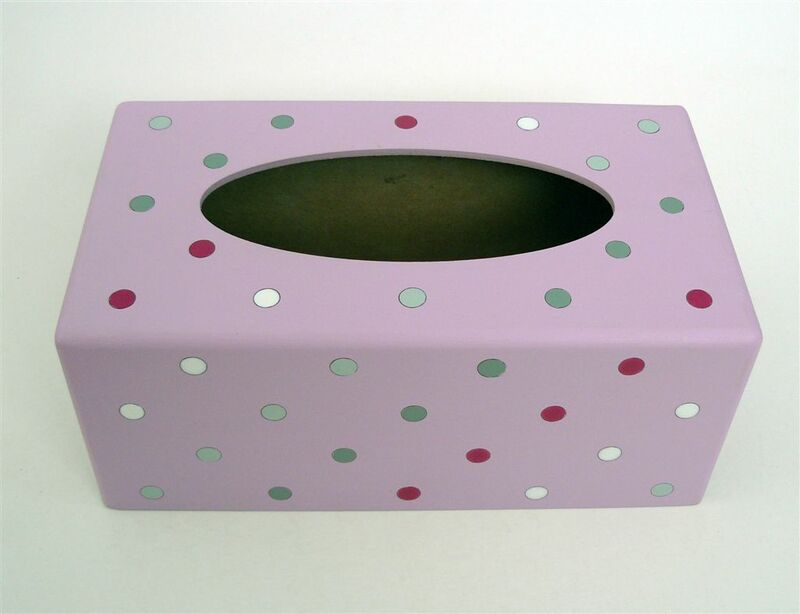 Cover the tissuebox with any design in any colour! 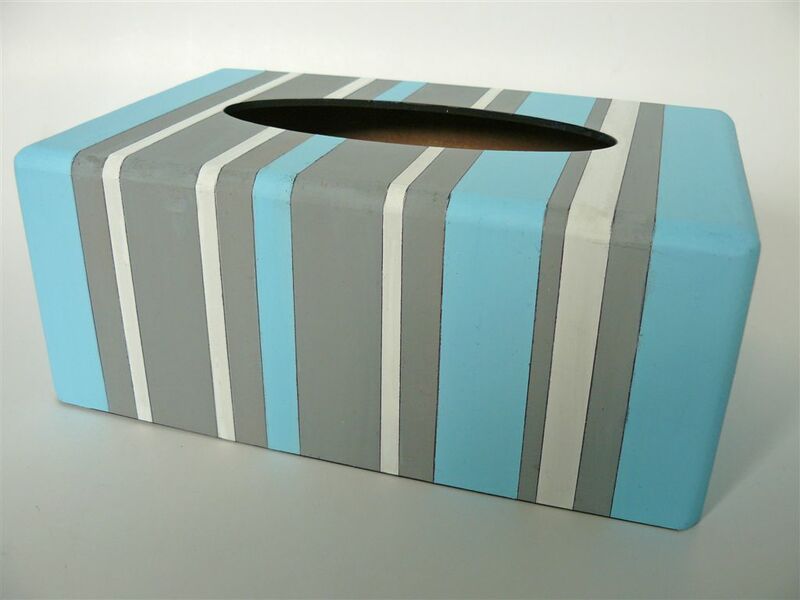 Light blue and grey stripes. 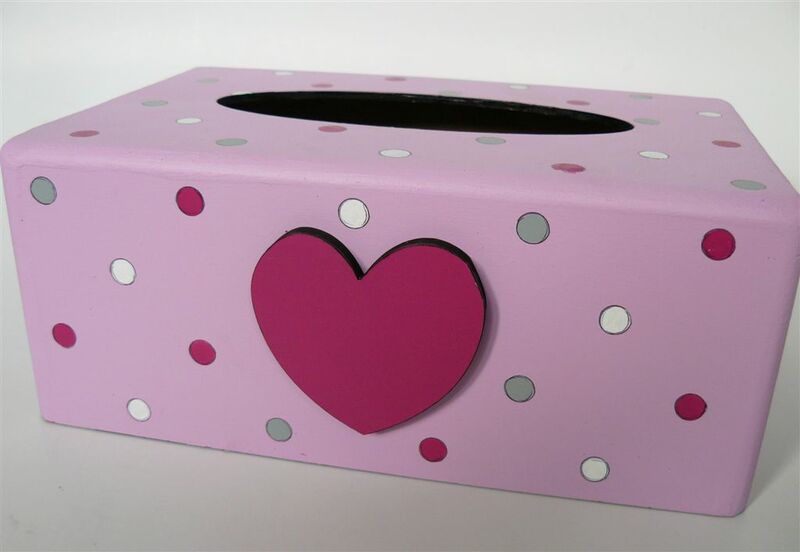 The base is light pink with polkas and a heart cutout. 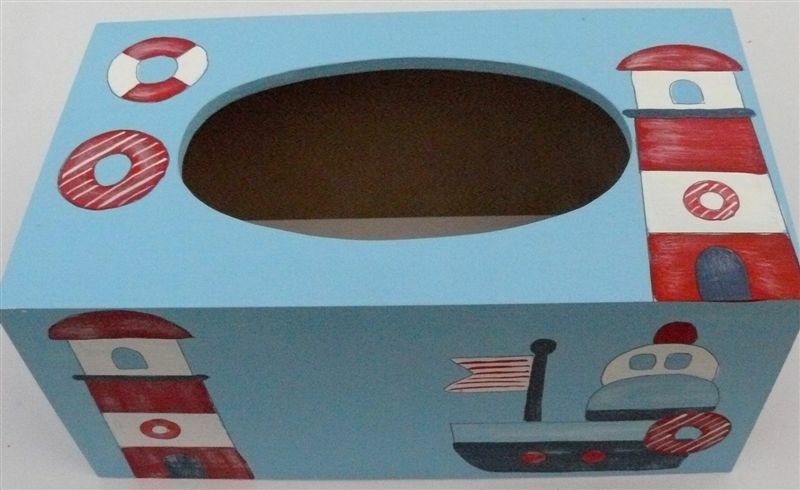 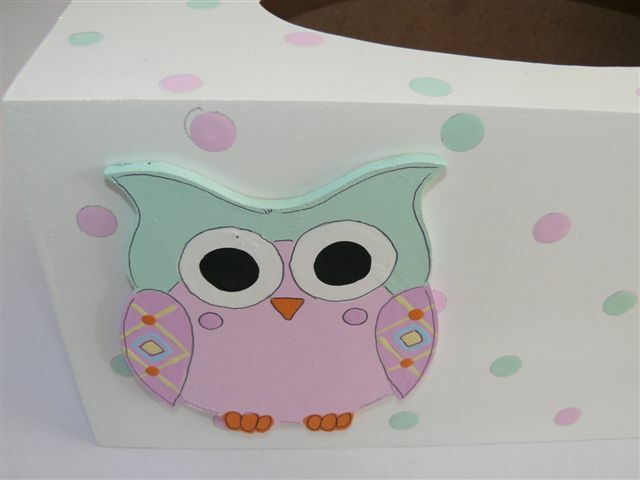 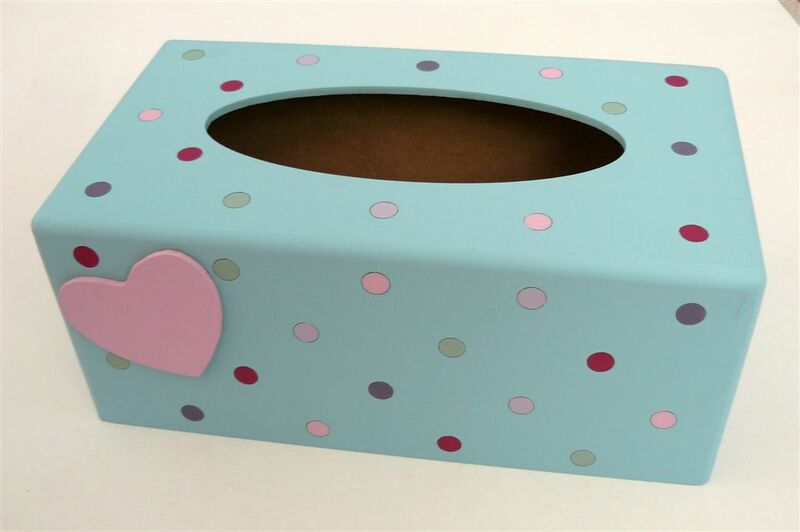 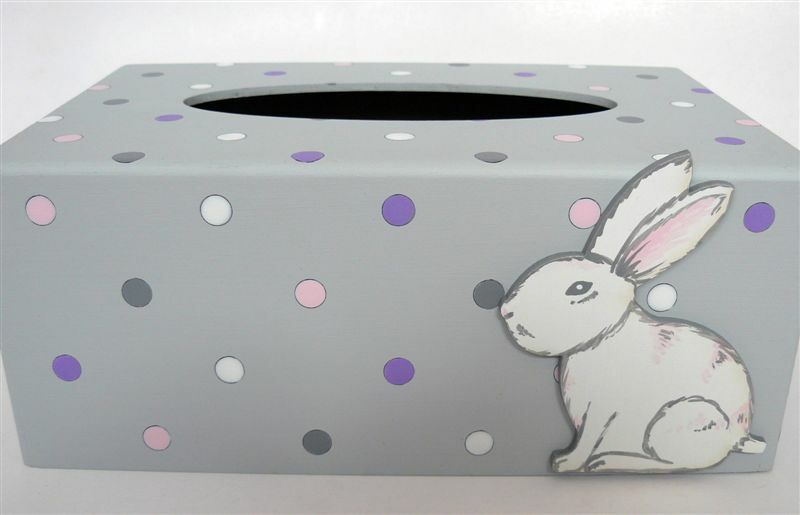 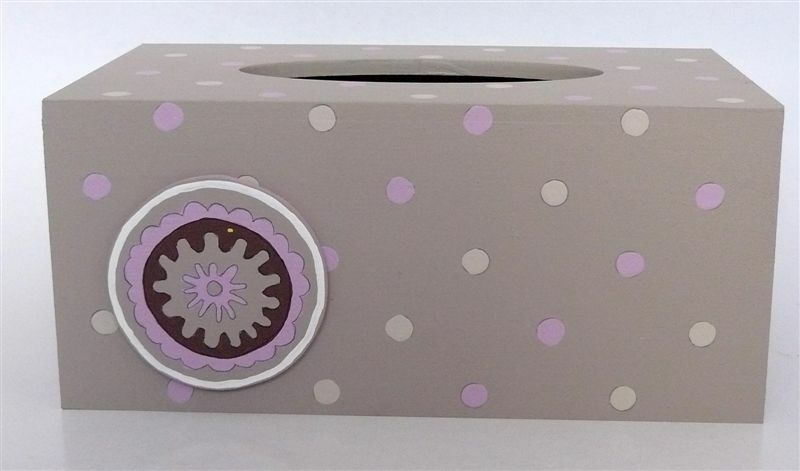 This tissuebox is painted in Mocha with pink and cream polka dots. 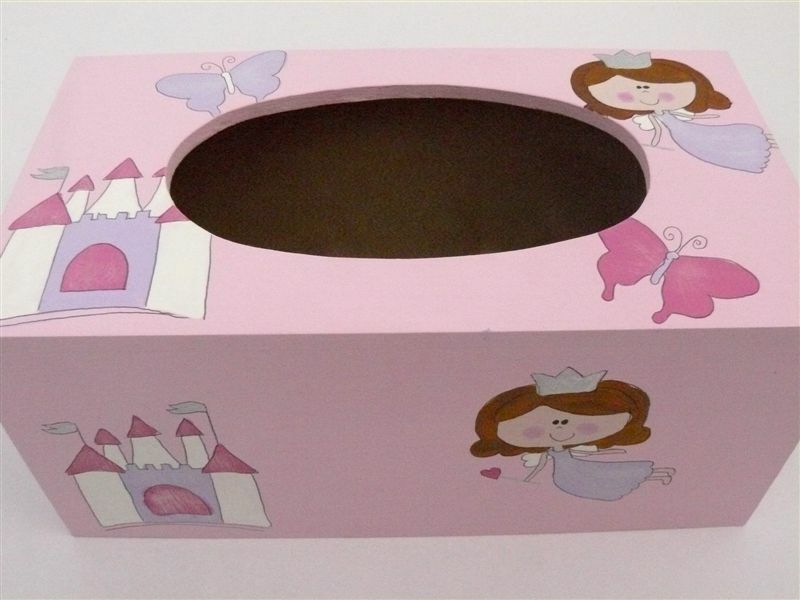 Can be painted in any colours with any theme. 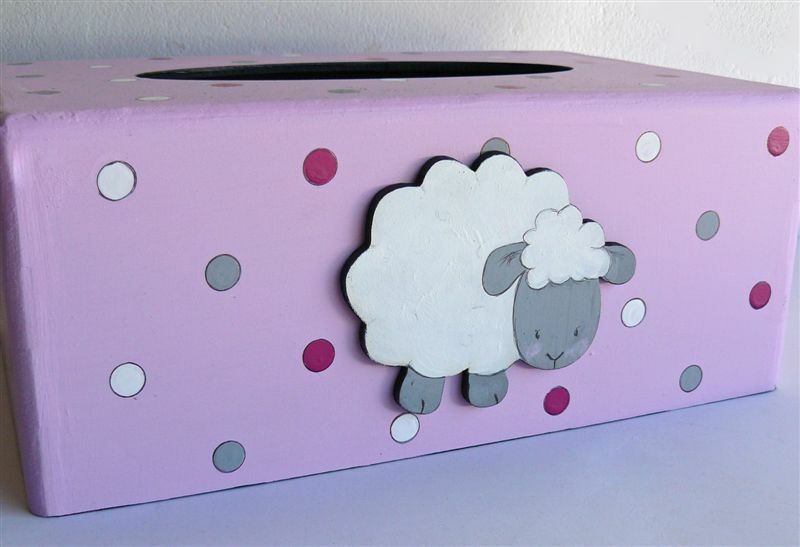 The base is light pink with polkas and a sheep cutout. 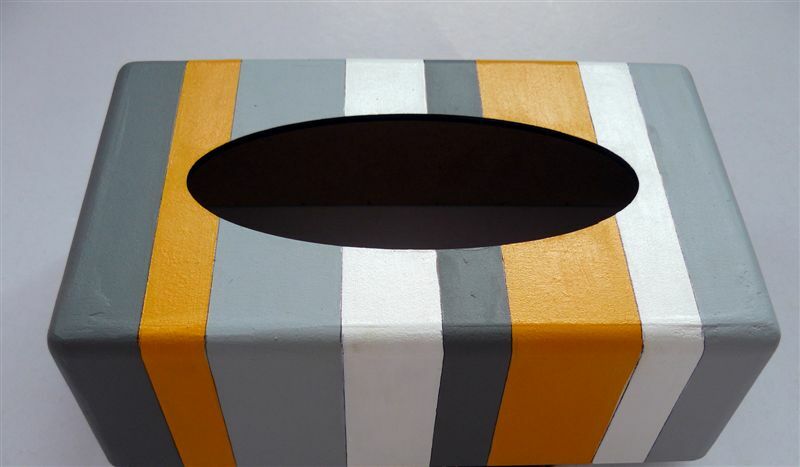 Painted in the colours of the bedroom. 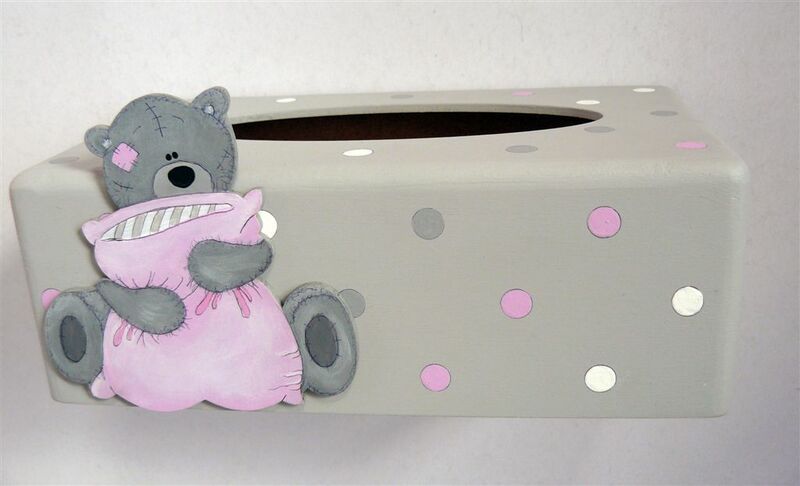 Grey base with polkas and teddy cutout. 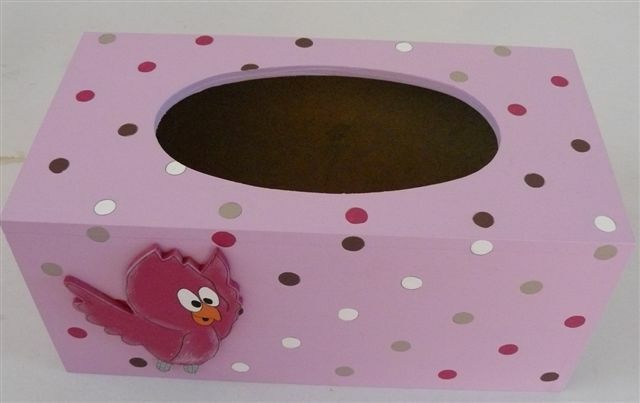 Pink base with polkas and birdy cutout.